This month for our main meeting (Tuesday 28th March 7pm), Pete Brown, a world-renowned expert and award-winning author on beer and cider, is our leader and sommelier into the world of women and beer and cider brewing and quaffing. As well as lively discussion there will be beer and cider to educate your taste buds and expand your palate. 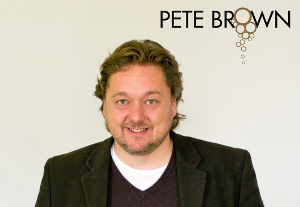 Pete Brown is a British author, journalist, blogger and broadcaster specialising in food and drink, especially the fun parts like beer and cider. His broad, fresh approach takes in social history, cultural commentary, travel writing, personal discovery and natural history, and his words are always delivered with the warmth and wit you’d expect from a great night down the pub. He writes for newspapers and magazines around the world and is a regular contributor to BBC Radio 4’s Food Programme. He was named British Beer Writer of the Year in 2009, 2012, and Fortnum and Mason Online Drinks Writer of the Year in 2015. He blogs at petebrown.net. We’ll have our normal social half hour between 7 and 7:30. Next month is our annual meeting where the committee is elected for the next year. Several current committee members are stepping down so we really need some new people to help out! We’ll be chatting to people about this before and after this month’s meeting and if you have any questions do ask!